As online presence creeps into all markets, it is important as a company to follow the trends and stay ahead of the game. Creating a memorable brand will ensure a customer will think of your business over a competitor when looking to purchase a product or service online. 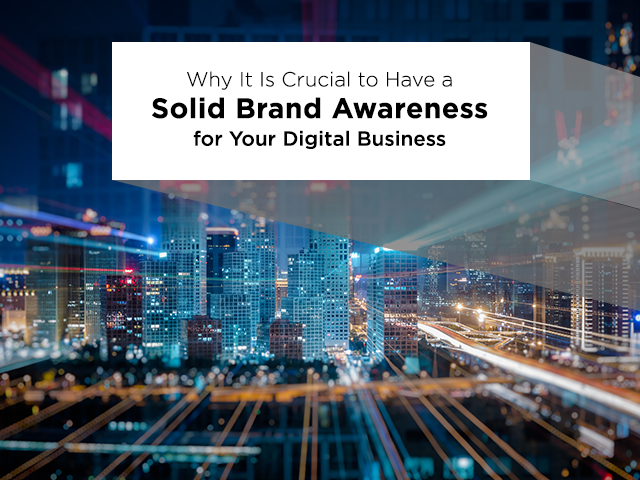 If brand awareness is something you are unfamiliar with, below we have broken down why it is so necessary. Even if your digital business has not implemented it, it is not too late for brand awareness solutions by gfkamerica.com. Brand awareness is the extent in which consumers can recognize a specific company based on certain characteristics. McDonald’s “I’m Lovin It,” Apple’s apple icon, and Nationwide’s jingle are all examples of marketing techniques created to establish bigger brand awareness. Brand awareness is separated into two different subtypes—brand recognition and brand recall. Recognition is the identification of a brand from characteristics without being able to recall their exact name. Recall shows more of a stronger connection between consumer and producer. It is when a common person can identify a brand by name from simply thinking about the category it falls under. Top of the mind awareness is a smaller subtype which states customers are likely to purchase things from the three companies they can name first. The stronger brand you make for yourself, the more well-known you will be. Search engine result rankings will always be affected by number of clicks on your website. It becomes a simple equation of more popularity plus more recognition equals more sales. Spending a little extra money on someone to manage the company’s branding can speed up the process and bring in the profits sooner. Logos, jingles, and slogans are just catchy or memorable ways for a company to slide their purpose into your mind and lock it in. The goal of a visual is to clearly convey what service or product the business provides. It is in essence a promise from them to you on what they will provide as a brand. If you don’t provide that safety to your customers, they will gravitate towards companies that feel trustworthy. Ever heard of the saying “I’ll believe it when I see it?” Well, this can’t be the case when it comes to digital businesses. It can be hard for companies to gain credibility without the opportunity of face-to-face communication. If a brand becomes more well known to a person, the more comfortable they will be to trust the company. It is important to instead convey beliefs and goals in all available interactions. An underlaying benefit from brand awareness is the ability to give out tests to find out what advertising is and is not working. With the data from these tests, companies are able to narrow down the most popular focuses of their brands. It gives these companies insight to their audience’s most important wants and needs. They can then avoid wasting time and money on unnecessary and unproductive advertising. The brand you choose for your company will show a small piece of what it stands for. If you advertise effectively and reach the target audience, you will grow a support system of loyal customers. Employees will also join in backing the business, giving them a purpose to perform at their best on the job. Respect and repeat business come from loyal customers along with their spreading the word of a great company. Just like a flower cannot survive without sunlight, a brand will not live without awareness. Successful brand awareness will provoke immediate positive attention towards the company and what they bring to the consumer. When you are the first company to pop in someone’s head when thinking about your product, you have succeeded.